Classic Style Home: Goth Lights Be Gone! 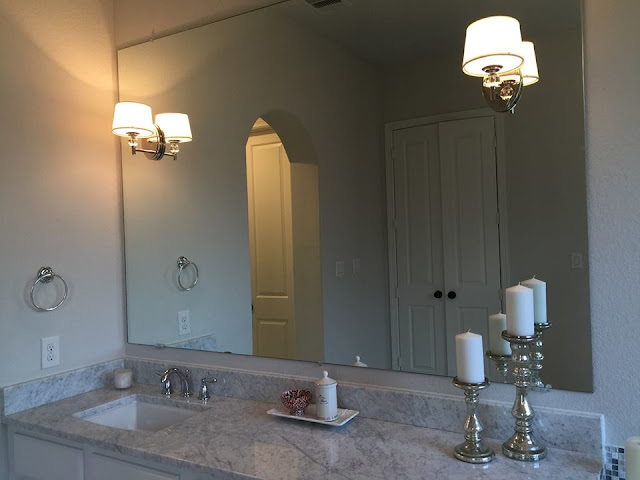 There was one thing I could not wait to change in this house and that was the light fixtures in the bathrooms. I still haven't ordered all of them, but I've made a lot of progress. The black sconces in the master bathroom were the worst. 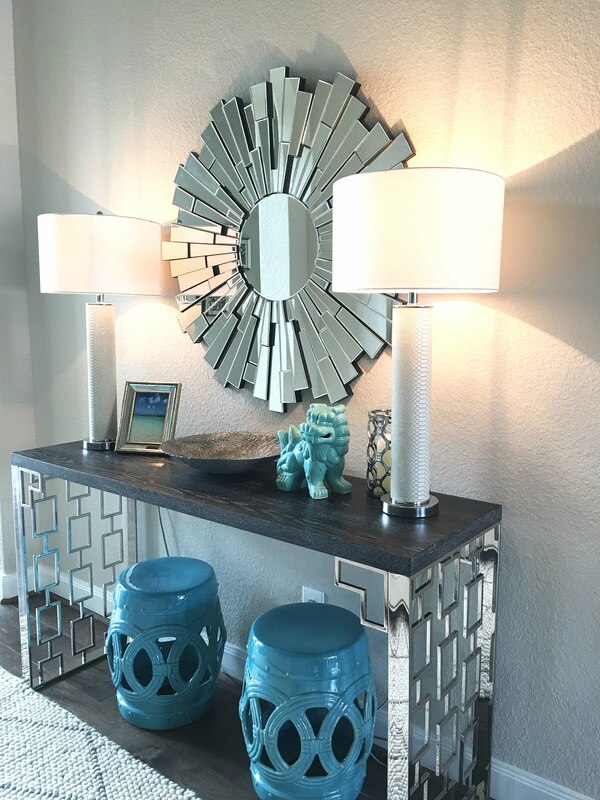 I have since replaced them with these polished nickel and crystal sconces. This is much better than the before. The next step is to frame in the mirrors and add hardware to the cabinets. 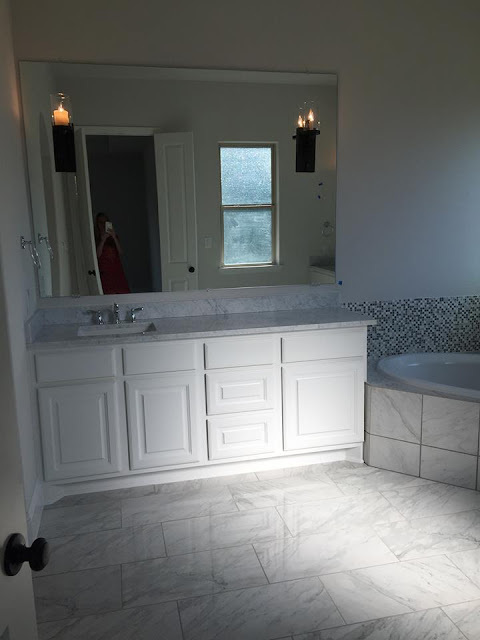 I'm also looking for a chandelier to replace the main light in the master bathroom. The powder room light and guest bathroom light has been replaced, but we still need to order lights for the three boys bathrooms upstairs. Yes, that makes a total of six bathrooms. Good grief! As you can imagine we have a lot of furniture to buy. I'm trying my best to get it all done before the holidays. I ordered two sofas, two chairs, and a new dining room table and chairs so far. I'm trying to get the big things/custom pieces done first since they take a while to come in. I wish I could have gone with stock pieces, but they weren't the most family and dog friendly. The living room is going to have all indoor Sunbrella fabric on the sofa and two chairs. I am planning on taking a video soon of how amazing it is. Look for it on Instagram soon!